So as the title says I’ve been reading a few forum posts and it’s got me thinking. We’re all of the opinion that Classic is all about the journey, the community, the experience. However I’m wondering that If when Classic drops, most people are going to revert back to the ‘Must reach end game content as fast as possible’ mind set, and in doing so ignoring the journey, the community and the experience. Not only would this be a shame for the player but on the whole it would ruin it for others as well. 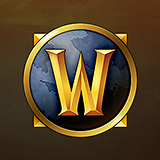 The main reason I believe many of us are looking forward to classic is to feel immersed in the original WoW universe again, where playing and interacting with others accounted for much of that immersion and overall enjoyment, opposite to now where players don’t even give each other as much of a glance for the most part. I really hope the same thing doesn’t happen for Classic. What’s everyone’s thoughts? However I’m wondering that If when Classic drops, most people are going to revert back to the ‘Must reach end game content as fast as possible’ mind set, and in doing so ignoring the journey, the community and the experience. Not only would this be a shame for the player but on the whole it would ruin it for others as well. People will absolutely do this, and that’s okay. I don’t think anyone should try to say the way someone plays the game is somehow incorrect. Some of us will rush, some of us will try to enjoy it again. Whichever way you go I think we should all just be stoked that we’re getting Classic. I’ll probably be in the slower end myself trying to do the dungeon quests because to me that’s a pivotal Classic experience that I at least remember. I want to form my Deadmines groups in Westfall chat again. Are you going to “LFG VC” or “LFG DM”? I’ve heard that some people back in the day said VC but I never saw that on my server at least. Sorry to bother - can we get a sticky on this post? I’m hoping to ease the transition for people new to the board and keep the true information flowing and limiting the disinformation. Good idea! I’ll sticky that. Please keep this up as this kinda thing would be very helpful for folks tracking wise.